After the global return to growth in 2010, the necessity to level the competitiveness of France, to bet on new sources of progress, focalize our collective decisions to the requisite of global competitiveness, but also work towards an objective to promote equality of chance in each business, between France and the European countries as well as from Europe to the rest of the world, but also the requirement of respect between humans at the heart of our actions; those are the strategic pillars of the MEDEF. That is sustainable competition. It is in this mindset that we are approaching the goals for this year. The social agenda first and foremost includes the employment of the younger generations through dialogue. Next up will be the preparation for the B20 Summit, which will constitute one of the key moments to make the business contribution heard and understood regarding the current events subjects around the world. 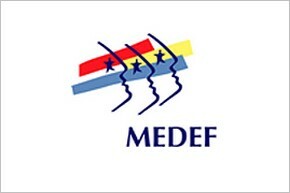 Important fiscal reforms, retirement policy restructuring, promoting ethical practices as a competitive advantage, first-party participation for labor groups from all sectors of industry, ‘SMB Attitude’, our reactions during the crisis of our convictions on matters of sustainable development, the MEDEF works and strives to work towards the businesses, occupying all of the economic and social sector to permit us to cross employment and growth in the years to come. To take matters further, our participation with the 2012 presidential election will take its shape near the end of the year, and we will push forward the subjects that we as a whole are confronted with, our points of view and our propositions which reflect our full network; our wish is to create a useful platform for our country, our economy and our businesses, all without sacrificing our ambitions and our intended path forward. The irreplaceable force of creativity in the heart of businesses must endure and encourage us all without fail. 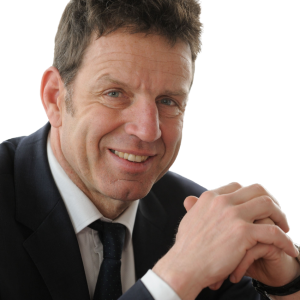 Mr. Roux de Bézieux, 56 years old, started his career at L’OREAL where he has worked ten years, first as marketing director in England and then as Directorate General in Poland. In 1996, at 34, he created THE PHONE HOUSE, the first store chain entirely dedicated to mobile phones. When he left, the company had opened 2,000 stores and had 10,000 employees.